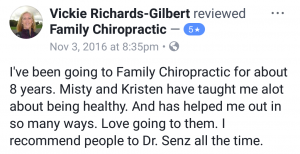 See why people are choosing Family Chiropractic in Painesville, Ohio for their chiropractic & health needs! 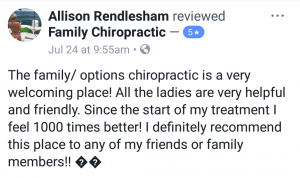 Make sure to check out more reviews on our Facebook page by Clicking Here! Testimony Time. I put off having Dr. Misty and her team come for a health talk at my office because I thought my coworkers wouldn’t get it and wouldn’t take the time to treat with her. To my wonderful surprise, after the talk, many took the opportunity for a health evaluation and a few started treatment. So a huge WIN!!!!!! If those around me find health it positively affects everyone in the office. So if you’re on the fence about inviting Dr. Misty and her team into your work place or community group or worship group JUST DO IT!!!! You never know whose life could be changed ….. mine has been and now I’m excited for some coworkers to start a new path of wellness. My first visit to Family Chiropractic was over 10 years ago. I was looking for relief from neck pain I had after being involved in a car accident. I did not expect this would be the start of a healthier life. 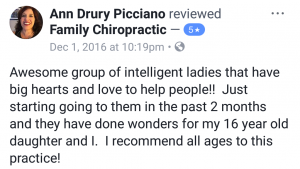 I did not know all the benefits chiropractic has to offer. I also had never really given a thought to why chiropractic could be helpful. I just knew my neck hurt and hoped chiropractic would help. It did help with that neck pain and so much more. I noticed I was not getting sick as often. When I did, it was milder with a shorter duration. My frequent kidney infections were gone, something I had never thought an adjustment could do. I continued my adjustments throughout my pregnancy. Chiropractic care supported my changing body and therefore the development of my baby. Returning after delivery helped with the changes I experienced from child birth and caring for a new baby. My daughter has been seeing Dr. Senz since birth. 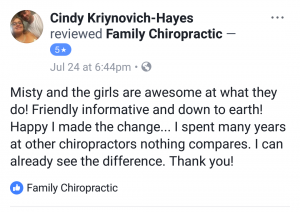 I believe chiropractic care has supported my new baby by significantly reducing her acid reflux, preventing ear infections, and supporting her immune system. 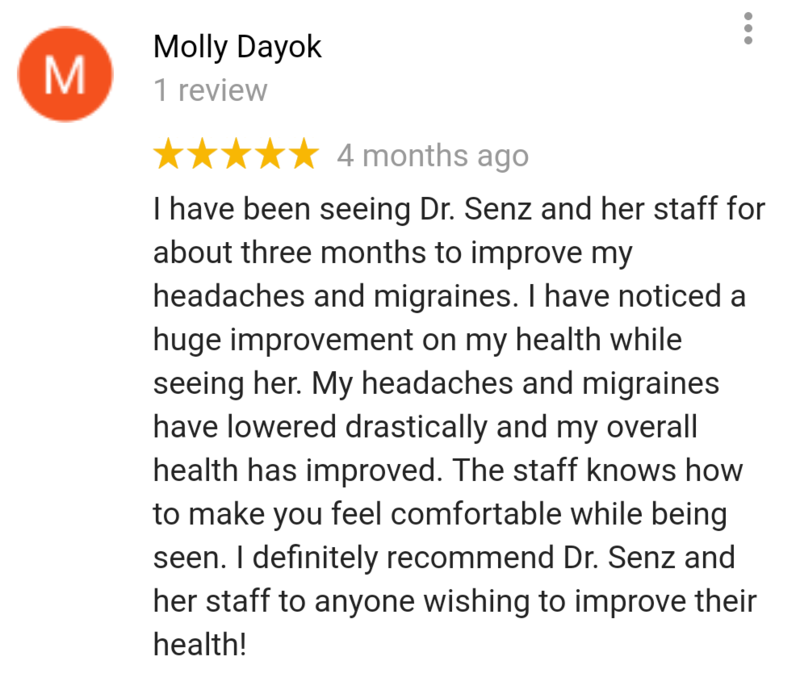 We will continue to visit Dr. Senz and Family Chiropractic for whole body wellness, helping us be our healthiest selves.